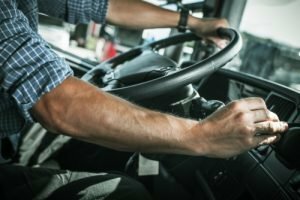 How do Truck Drivers Stay Fit on the Road? Truck drivers spend most of their time sitting in one spot and are often forced to eat while on the road. Many CDL drivers now have become more conscious about their diet and are looking for more healthy alternatives. Working for a top trucking company that invests in their driver’s health can help mitigate the negative impacts of this type of work, while also encouraging you to live a healthy lifestyle. Maintaining a proper diet while on the road can be difficult- the allure and convenience of fast food can be very tempting. All over the road, CDL drivers for Duncan & Son Lines can benefit from a fully functional kitchen in both our California yard and Phoenix yard, helping to overcome those temptations. Duncan drivers love the convenience of being able to cook a meal after a long day on the road and many also use these facilities to prepare healthy trucker snacks, such as roasted nuts and trail mix. The on-site kitchens also helps our truck drivers do meal prepping, which is a wonderful way to save time and ensure healthy meals while on the road. When you drive for a truck driving company, you do not always have the means to engage in a traditional workout. Thankfully, there are ways to perform exercises that are compatible with life on the road. Invest in a good pair of running shoes. Jogging or running is something you can do just about anywhere, and running shoes are small and easy to pack with you. Store a jump rope or resistance bands in your truck’s side compartment. Working multiple muscle groups simultaneously and maintaining a 75-85 max heart rate for 15 minutes, can help maximize fat burning on your haul to or from the yard. Push-ups or sit ups. Purchase a gym or yoga mat that is easy to store in your truck or under your seat. When you reach a truck stop, you can use the mat to have a flat and smooth surface for push-ups or sit-ups. If you are feeling ambitious, you could also pick up a folding bicycle that can be stowed away. Just like jogging, you can use the bike wherever you happen to be. Even if you only ride circles around the truck, some physical activity is much better for your health than none. Obviously, free weights are not the most practical exercise equipment to travel with. Exercise bands are a good alternative option for resistance training. If you are looking for a trucking job where your employer cares about you and your career, contact us at Duncan & Son Lines, Inc. We are always looking for new, qualified drivers to join our team and look forward to hearing from you. Previous PostPrevious To All The Hardworking People at Duncan & Son Lines, Inc.
Next PostNext How Long Does it Take to Get a TWIC card?